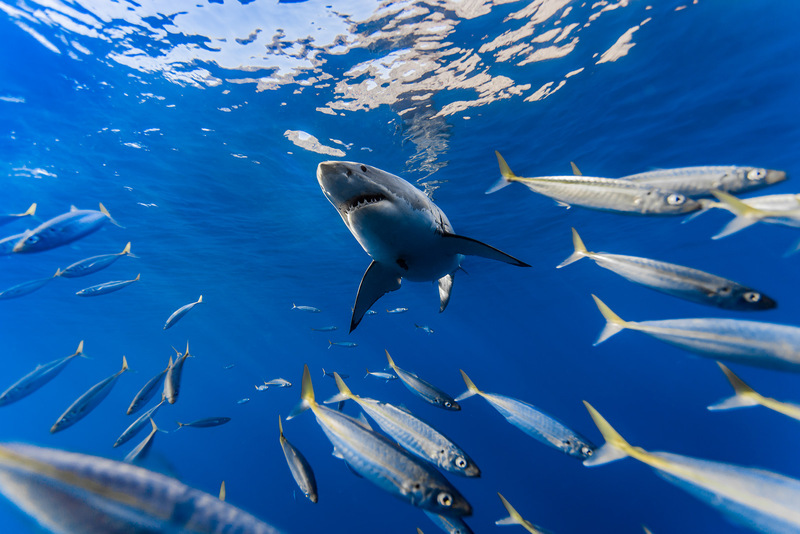 Mackerel scad (Decapterus macarellus) clear the way for an adult great white shark (Carcharodon carcharias) as he swims near the surface off the coast of Isla de Guadalupe. 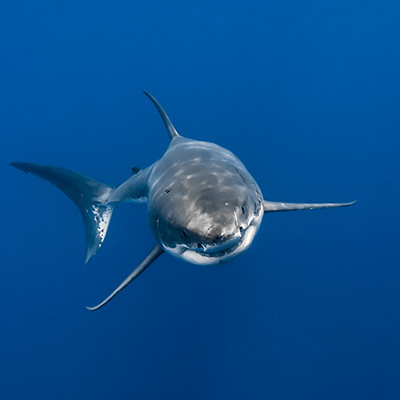 The mackerel are quite good at “photobombing” the sharks at Guadalupe and have ruined many a shot for me. 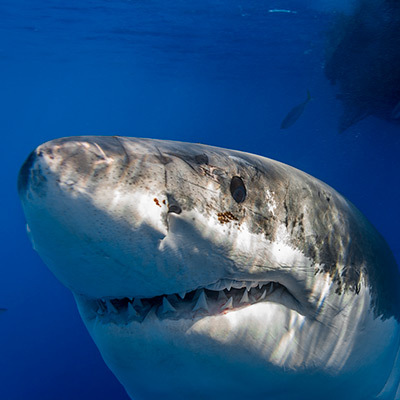 Fortunately, for this shot, they provided some nice framing for the shark, instead.